Lexus has unveiled its all-new UX crossover at the Geneva Motor Show. 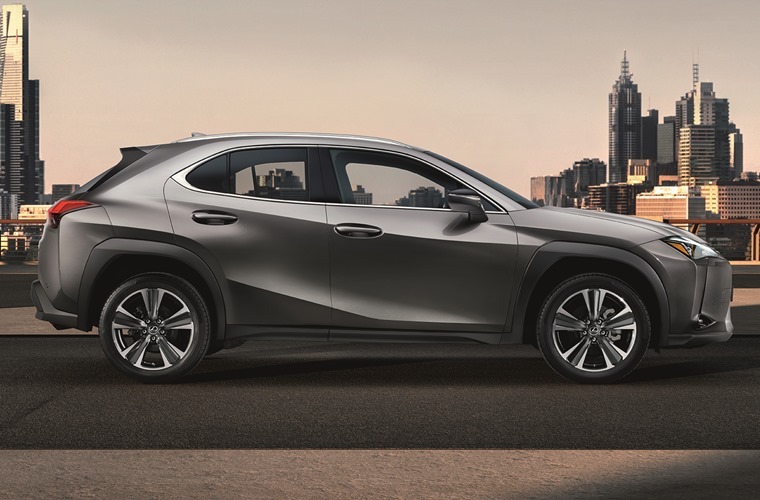 The UX measures 4,495mm long, and benefits from a bold design and features Lexus’s trademark grille up front. It’s flanked by sharp headlights, front air intakes that incorporate fog lights and chunky black trim around the wheel arches. Although it borrows many design cues from the company’s larger cars, its standout feature has to be the unique rear end, where a full-width lighting arrangement is flanked by sharp fins on either side. The rear lights are formed by a sequence of 120 LEDs, which taper gently towards the centre. This design is set to become a feature on other Lexus in the near future. The interior features a ‘less is more’ feel courtesy of a clutter-free dashboard that is dominated by a central, elongated screen that’s angled towards the driver. 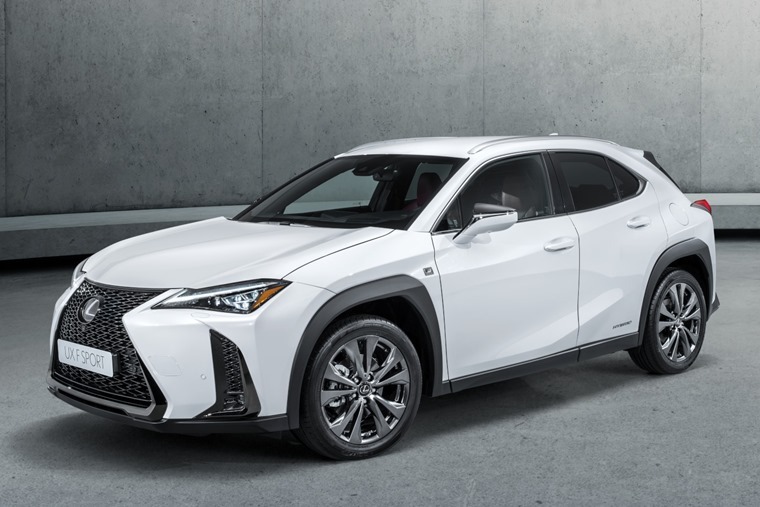 In fact the entire cabin is very driver-focused, with Lexus saying it creates an ambience where “driver and car connect”. No exact specs have been revealed about the tech and infotainment system, but a number of high tech safety systems will be available including: Pre-Collision System Radar, Lane Tracing Assist, Adaptive Cruise Control and Road Sign Assist. Details are still low on the ground regarding trim levels too, but an ‘F Sport’ derivative is set to be available, adding a sportier body kit, 18in alloy wheels, sports seats and a specifically tuned suspension system. The basic architecture of the UX is based on the Toyota CH-R crossover, but the petrol and hybrid drivetrains on offer will be noticeably more powerful. 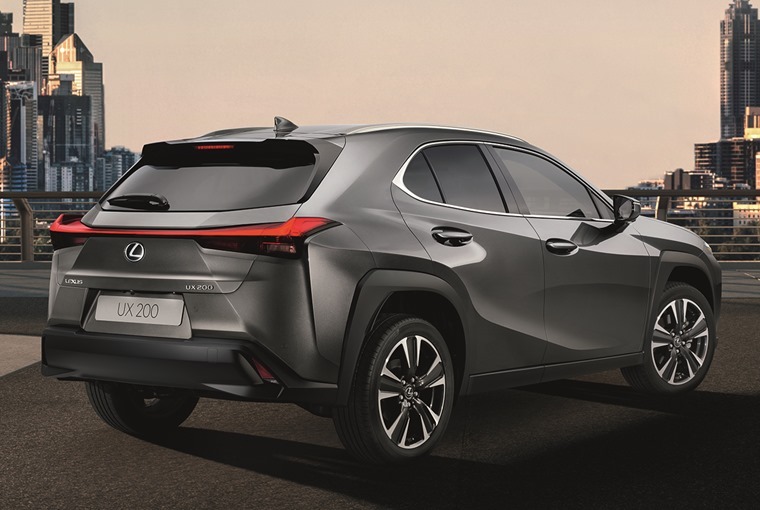 The range is set to include a 2.0-litre 166bhp petrol, and a more powerful hybrid model that comes with Lexus’ e-Four all-wheel drive system. That’s all we know about the all-new UX so far, but we’ll bring you more info as soon as it’s released. 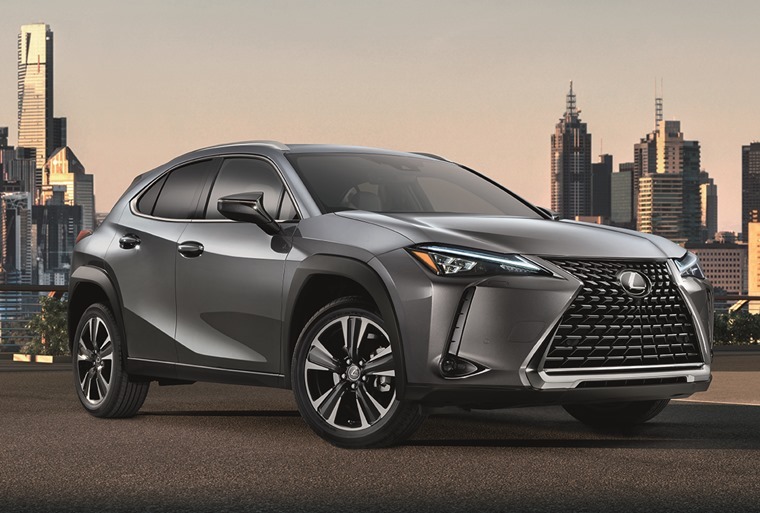 If you can’t wait for the new UX, you can check out the best Lexus lease deals available right now by clicking here.